be related to LC-M32-14232 which has "4340" on negative. 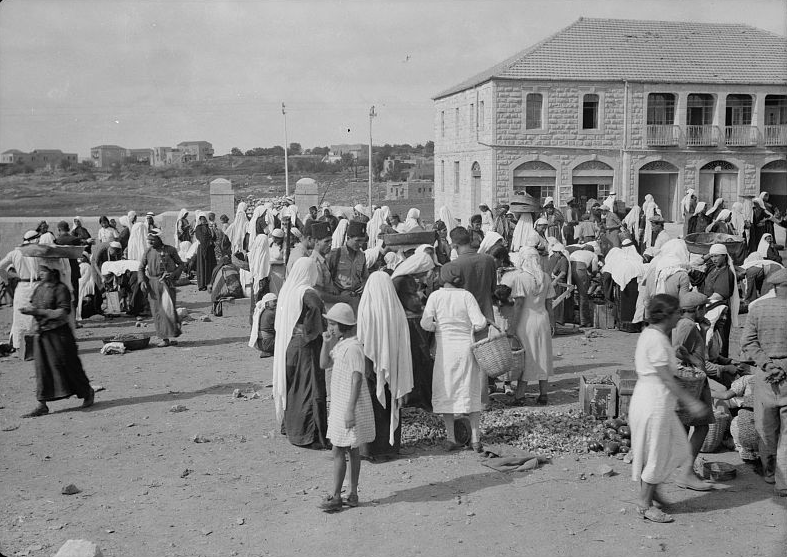 ﻿Israel Daily Picture (IDP) is thankful to the Library of Congress for making available online thousands of photographs from the American Colony/Matson collection taken in Palestine between 1898 and 1946. The collection also contains dozens of pictures from other photographers dating back to the 1860s. Some of the pictures were in advanced stages of disintegration when the Library digitalized them. We encourage readers to browse the many photo galleries at the Library's site to view amazing pictures of history in the United States, Europe and the Middle East. 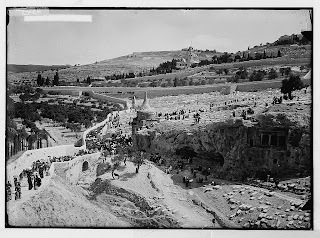 "Jewish Procession to Absalom's Pillar"
Jewish funeral procession. 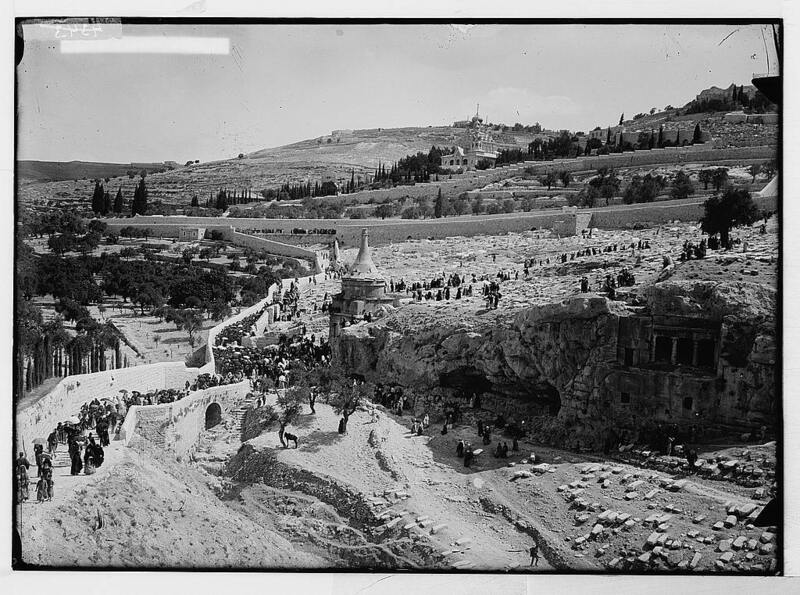 (Source: L.
We are humbled and thankful that the Library uses Israel Daily Picture as a resource to update and correct captions and dates on some of their photos. 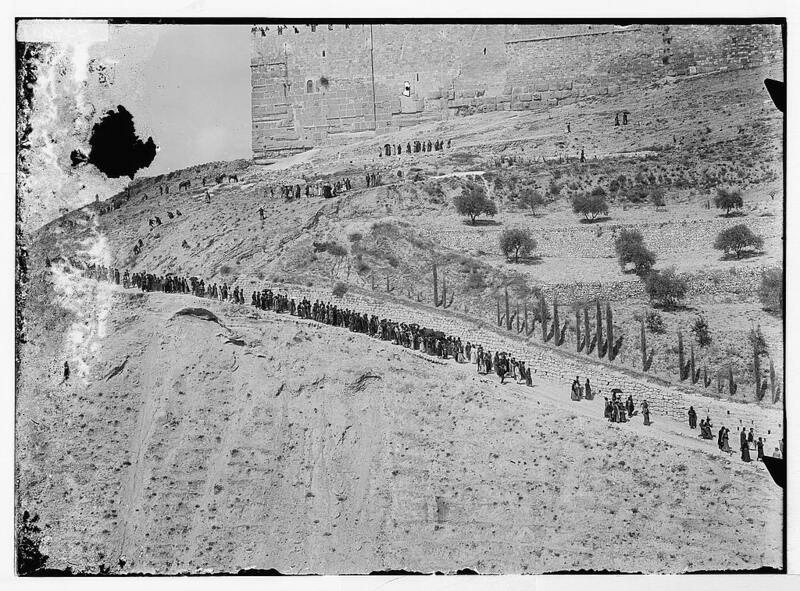 The previous posting of a 1918 photo of Jewish children marching in Jerusalem on Lag B'Omer after visiting Simon the Just's tomb, is just one example. Here are others that cite Israel Daily Picture. 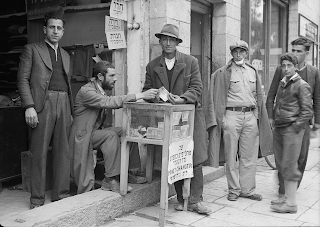 The sign on front of the money box reads, in Hebrew and English: "changing money here, money changer Lieb Goldberger".